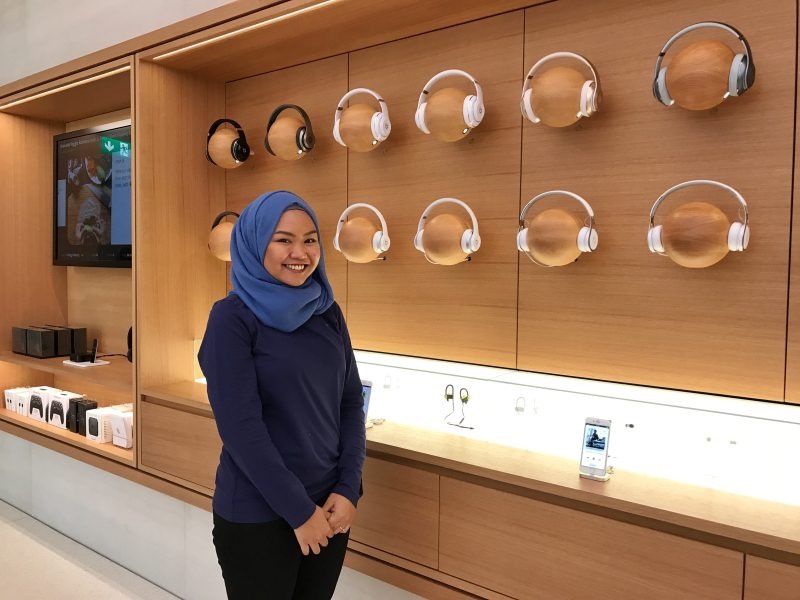 Two days ahead of the opening of the first Apple Store in Singapore, the company has provided a press preview of the interior. 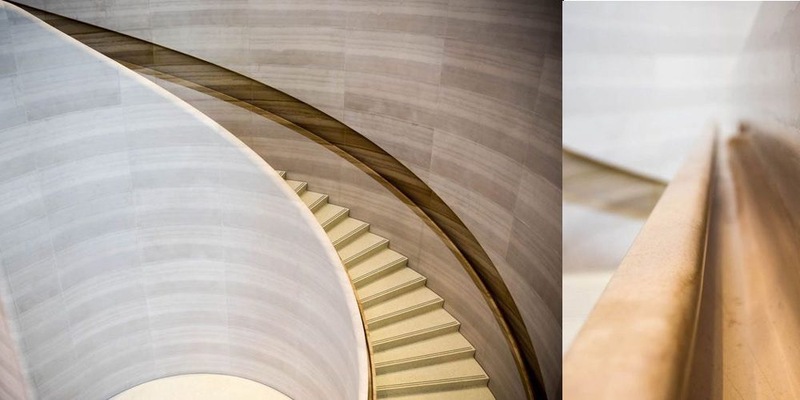 CNET draws attention to the handrail, which is a carved slot in the wall following the spiral curve of the stairs – and looks quite stunning. 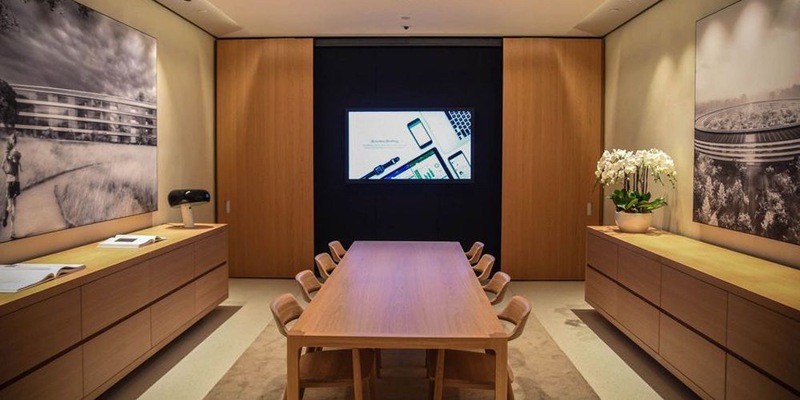 Another rarely-seen feature is a boardroom intended for private meetings. 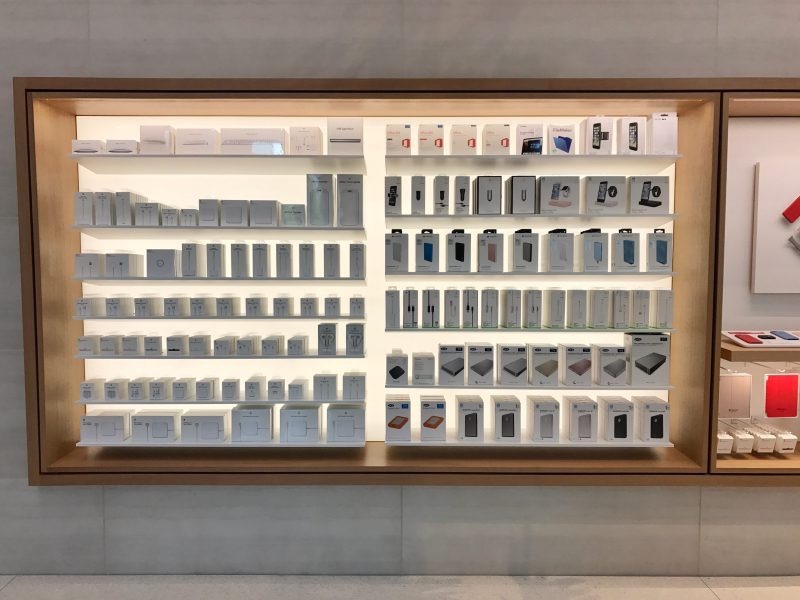 Some other stores have these, using them for meetings with business customers and sometimes individuals, but they are tucked away out of sight. 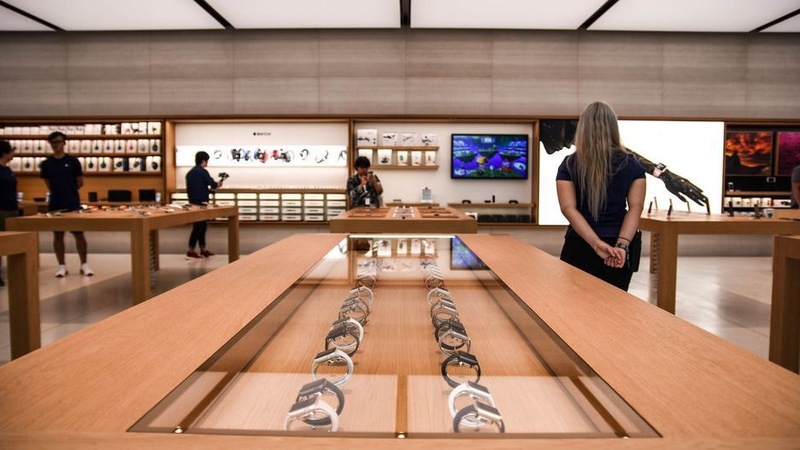 During the Apple Watch launch, they were used to hold private try-on appointments for the gold Edition model. 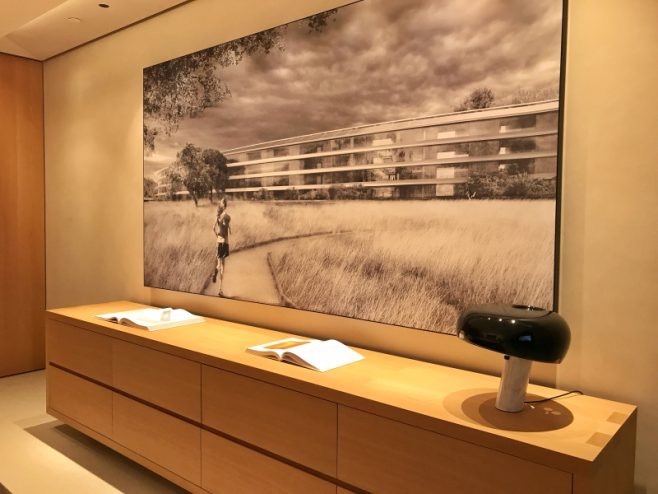 The boardroom also has paintings of the Apple Park. 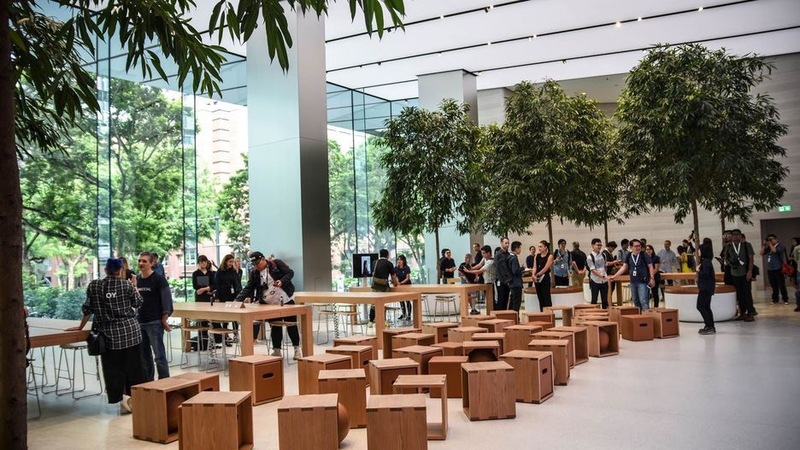 Other interior elements are by now familiar: the Genius orchard, the wooden ‘bowling ball’ headphone holders, the giant screen and cube seating. Posted on May 25, 2017, in Other. Bookmark the permalink. Leave a comment.